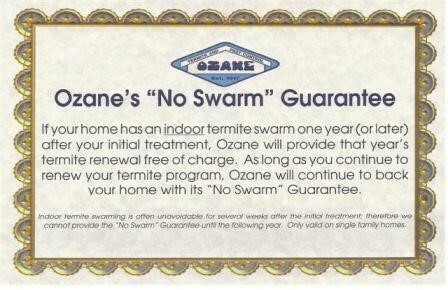 Discover the Science behind the system - watch the short video below then schedule a FREE Estimate from Ozane to protect your home from Termites! To protect their homes from termites, more people prefer the Sentricon® Termite Colony Elimination System than any other brand. In fact, it has protected more than two million structures, including the Statue of Liberty, the White House, the Alamo and other national treasures. If termites are present on a property, a highly trained pest professional uses the Sentricon System to eliminate the colony. If a new colony invades, it also is eliminated with the Sentricon System. This is accomplished with stations placed in the soil around the home, which are less disruptive and more effective than traditional methods. When it was introduced, the Sentricon System revolutionized termite protection. Now, after a decade of proven performance, the Sentricon System has become the standard for termite colony elimination. When the Sentricon® Termite Colony Elimination System was introduced in 1995, it revolutionized termite protection. Not only did it eliminate termite colonies, it did so in an environmentally responsible way. Termites. They’ll eat any kind of wood material, from a home’s foundation to its furniture. Every year, they attack about four million homes in the United States,1 and cost over $5 billion in property damage.2 Termite damage is more common than damage caused by storms, fires or earthquakes, yet it’s rarely covered by homeowner’s insurance. The scariest part: Termites are often not discovered until it’s too late. You can be green and still eliminate termites. The Sentricon® System is proven to eliminate the entire termite colony — not just individual termites. And it does so in a way that’s easy to live with, without drilling into floors and foundations, and without injecting chemical solutions into the ground. 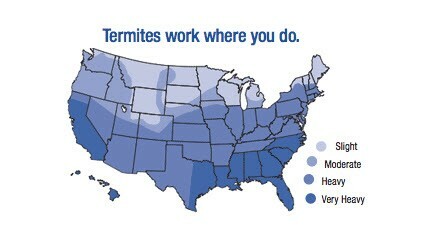 The bottom line is this: We want to get rid of termites as much as you do. And we want to protect the environment as much as you do. The Sentricon System eliminates termite colonies with just a few grams of active ingredient. Perhaps that’s why the Sentricon System is preferred by more homeowners than any other brand. Ready to start protecting your house the environmentally responsible way? What makes the sentricon system so green? Minimal use of active ingredient. The Sentricon System uses only a few grams of active ingredient on each property, compared with a liquid chemical treatment that surrounds a typical structure with more than 200 gallons of diluted chemical. Recruit™ termite bait is strategically placed in Sentricon® stations only when and where needed to further minimize the amount of active ingredient in the environment. Targeted nature of active ingredient. The active ingredient in Recruit termite bait is an insect growth regulator that stops the molting process that termites require for growth. This molting process in the termite’s life cycle is not present in mammals. Therefore, the active ingredient is very specific to termites. The reduced risk pesticide initiative. The presidential green chemistry challenge award. The Sentricon System has earned the Presidential Green Chemistry Challenge Award, something no other termite control product can claim. This award is one of the federal government’s top environmental honors and recognizes technical innovation that incorporates environmentally responsible chemistry into its design, manufacture and use. It’s no coincidence that Sentricon stations are green.